As 2016 started, consumers have become more used to their tablets and smartphones. The fun, entertaining, and useful apps behind these gadgets play a big part in its ever-increasing marketability. 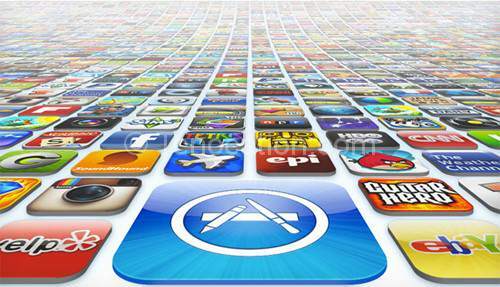 The situation has changed for apps in the beginning of this year, because instead of Facebook or a game application leading the charts, other applications from different categories are topping the App Stores. After Apple blew its own Mapping application, the big G seized the opportunity and released their popular mapping application on iOS – Google Maps. This free service has become indispensable for the iOS after the Apple Maps became virtually useless. It will show you where you are and take you to your destination. No matter if you’re walking, driving, or in a public transportation, its voice-guided, turn-by-turn navigation will keep you on the right track. If you want to take your maps to the next level, check out apps like Maptive which build on the Google Maps functionality and expand it to new heights. It only took a matter of hours for Google Maps to soar to the top of the App Store after its release, with old Android users to new iOS 6 users welcoming it with much delight. This free social photo-sharing app has gained lot of popularity ever since it was released, entering the top 10 most downloaded apps in less than a month. It will let you share photos on the Instagram network and social networking sites such as Facebook and Twitter. But that’s not all. It also lets you edit the photos you take and add visual effects that can transform the simplest picture into a more visually pleasing photograph. What makes Instagram even more wonderfully addictive is that there are a number of apps that further improves its user-experience, such as Instamap, Wordfoto, Labelbox, and 100 Cameras in 1. 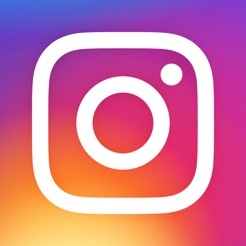 No wonder there are over 80 million users of Instagram that is continuously growing in a very fast rate. This app is how the iOS’s built-in camera app should be. Camera+ can change almost every aspect of the native camera app, which makes it much easier to take perfect snaps. It also provides the user with High Dynamic Range (HDR) effect, sharper photos, gridlines, more zoom, and makes photo editing and sharing a breeze. Available in the App Store for $0.99, the Camera+ takes picture taking to a completely new level for less than a buck. After its website launched, Pinterest developed an iOS app dedicated to make pinning faster and easier. This free app will let you make to-do lists and plans then organize them effortlessly for best results. You may find inspirations, pin them with your camera, and share them with other people from around the web in just a matter of seconds. With over 35 million listeners across the world, Pandora has become the hottest internet radio application to date. It lets you tune in to your favorite music free; making it a great alternative to purchasing music from iTunes, which are considerably pricier than most mp3, downloads. With Pandora, all you need to do is simply type the name of a music artist, song, or genre and the live radio station will play your selected music for you. You may subscribe to Pandora One for $3.99 and enjoy all the bells and whistles offered by Pandora Radio for a month. With these top apps, 2016 will surely be a revolutionary, tipping point on how consumers will be using apps. No matter if you’re a long time Android user or have just gotten your hands on the much-coveted iPhone 6s, then these App Store essentials will get you started in an instant and get you hooked in no time.